A little faster, a little more powerful and dead on accurate. This is the result from top tier component selection and great production protocols. 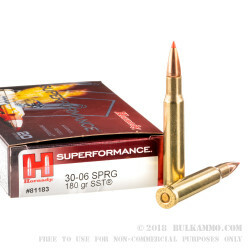 Hornady Superformance can legitimately say it was the original player in the premium rifle hunting cartridge space. The extra ballistic performance and the high quality components (including an SST projectile and top quality powder) deliver consistent results in any scenario. The increased performance may seem somewhat mundane now as others have had years to catch up, but the numbers are still better than just about any competitor at the price point. For those that want to ensure they get their game, this .30-06 round is in a class of its own. Yes, you can find other rounds that are more expensive and deliver similar results, but you cannot find one that offers this kind of accuracy, reliability and field performance at this price point. And it’s been that way for years. 2820 FPS muzzle velocity; 3178 ft. lbs. of energy 180 grain projectile; flat shooting trajectory and incredibly accurate at distance, this is a very hard to match round. Combine that with the brass you can take home and reuse later and you will find yourself more often than not: opting for the Superformance rounds when you know you need the best there is at a good price point. 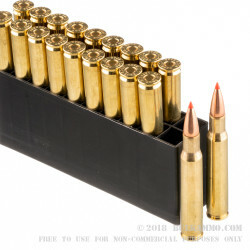 Q: My understanding is that to get the most consistency from box to box of the same type and caliber of ammo it is best to purchase several boxes together, at the same place in order to (hopefully) get the same lot number. Is this generally true or false? A: Generally, this is true. 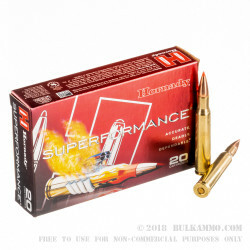 However, Hornady ammo is some of the best on the market, and you are not likely to notice much variation from lot to lot and box to box. Of course, don't let this dissuade you from buying as much as you would like! 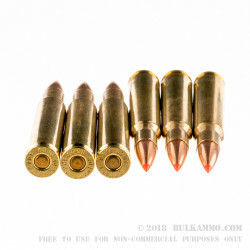 A: No, the Hornady ammo intended for the M1 rifle is the 168gr 30-06 M1 Garand product.